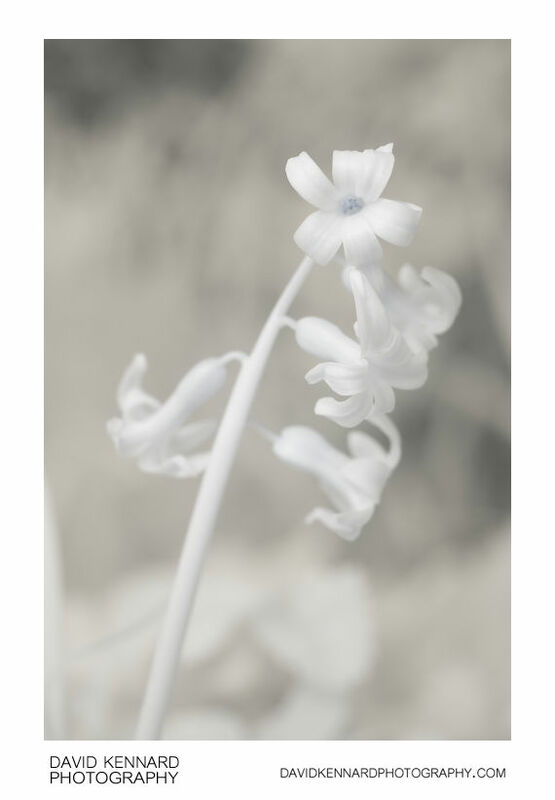 Infrared photo of a Hyacinthus orientalis plant in flower. In infrared there is little difference in tone across the petals. The stem appears much brighter than it does in visible light, being the same tone as the petals in infrared. Benro tripod with reverse mounted centre column. Geared head and focusing rails. Remote shutter release. Flash fired through small diffusion panel combined with natural light. 2 images with slightly different focus.